The anointed (Gk.) or Messiah (Heb.). Jesus, who is called Christ, is the firstborn of the Father in the spirit and the Only Begotten of the Father in the flesh. He is Jehovah, and was foreordained to his great calling in the Grand Councils before the world was. He was born of Mary at Bethlehem, lived a sinless life, and wrought out a perfect atonement for all mankind by the shedding of his blood and his death on the cross. He rose from the grave and brought to pass the bodily resurrection of every living thing and the salvation and exaltation of the faithful. He is the greatest Being to be born on this earth – the perfect example – and all religious things should be done in his name. He is Lord of lords, King of kings, the Creator, the Savior, the God of the whole earth, the Captain of our salvation, the Bright and Morning Star. He is in all things, above all things, through all things, and round about all things; he is Alpha and Omega, the first and the last; his name is above every name, and is the only name under heaven by which we can be saved. He will come again in power and glory to dwell on the earth, and will stand as Judge of all mankind at the last day. 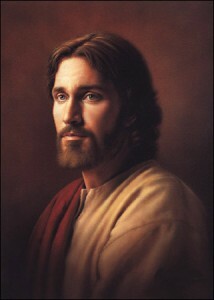 To learn more of Jesus Christ and His Life and Sacrifice for us follow this link.